ASR's over three decades of exceptional support for Government and Commercial customers have been acknowledged through several recognitions / awards, including US Congressional Recognition, the Ellis Island Medal of Honor, and US Small Business Administration National Award for Business Excellence. 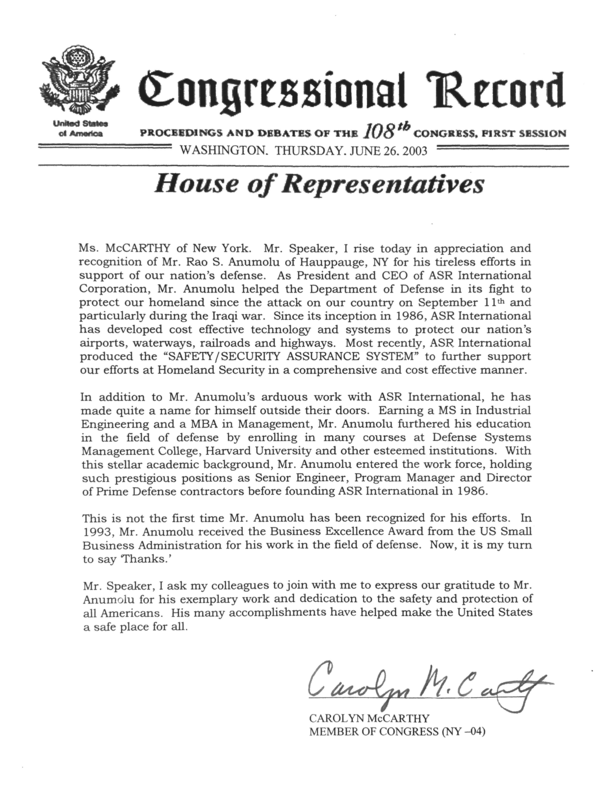 In 2003, ASR received United States Congressional recognition for ASR's accomplishments in providing support services for Homeland Security (U.S. Congressional Records E 1362). 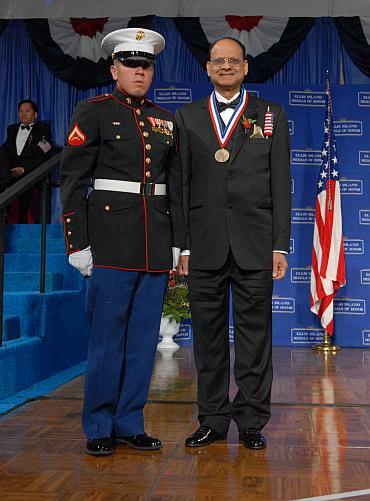 In 2010, ASR's President & CEO Rao S Anumolu was awarded the 2010 Ellis Island Medal of Honor. This Medal recognizes recipients for outstanding contributions to their communities, their nation and the world. It is the highest civilian award in the US for immigrants - for their contributions in the development of this country. ASR received the United States Small Business Administration National Award for “Business Excellence” for its quality of support and cost-efficient performance for Government agencies and prime contractors.